Thanks Geri Kochis for taking this photo and letting me use it! 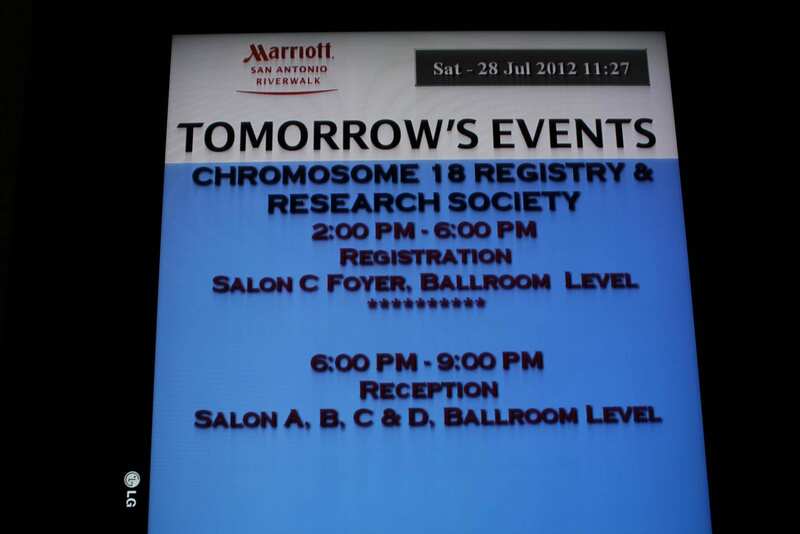 Another summer and another Chromosome 18 Conference has come to an end. 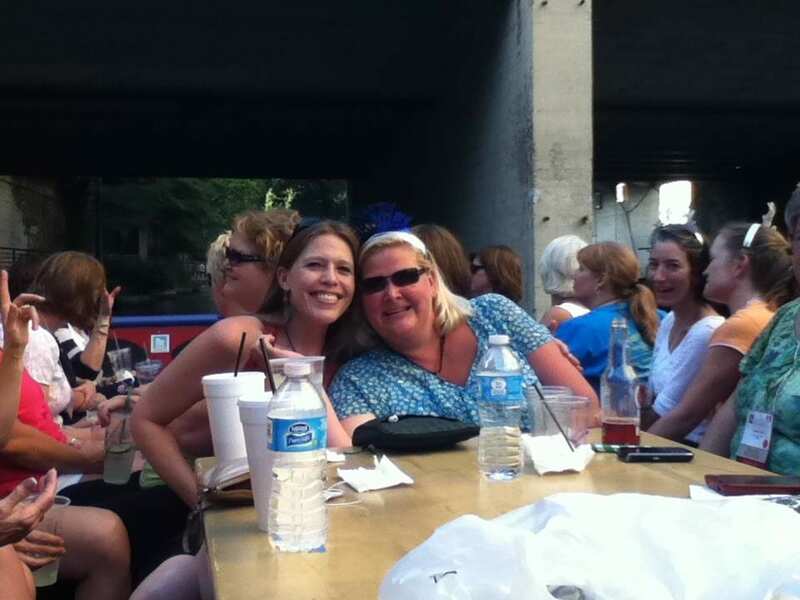 Another journey of adventures with crazy luggage, stairs, peaceful strolls along the Riverwalk, laughter, tears and …. magical moments. A journey to a place where not everyone knows your name, but everyone belongs (thank you Jenny Payne Howe for your moving post describing the sense of belonging among our C18 family). Jenny’s post moved and stirred me so much that I could not sleep. You see, I 100% agree with her about the sense of belonging we experience with our C18 Family and at Conferences. The moment I arrive and see that first C18 face, I instantly relax and feel at home. Also, when I am with our C18 Family there is an immediate level of trust … with what we say, our behavior, our kids behavior and knowing that we are all looking out for each other and our kids. I have to confess that I still have a tiny bit of feeling that I don’t fit in, don’t belong, as there are so many families … families that have a husband and wife team … and here I am doing this solo. Don’t get me wrong, I do not let that get me down or stress over it. I remind myself that my family is just different …. and Different iz Good too!! Thanks again Geri Kochis for taking this picture and letting me use it! Lillian and I were set and ready for our adventure to San Antonio!! The morning of our departure started out peacefully enough. Arriving to a long line for check in at the airport brought that to an adventurous halt! What I didn’t realize was that the airport was rearranging the airport layout. Lillian still has a fear of escalators so we headed straight for the elevator. 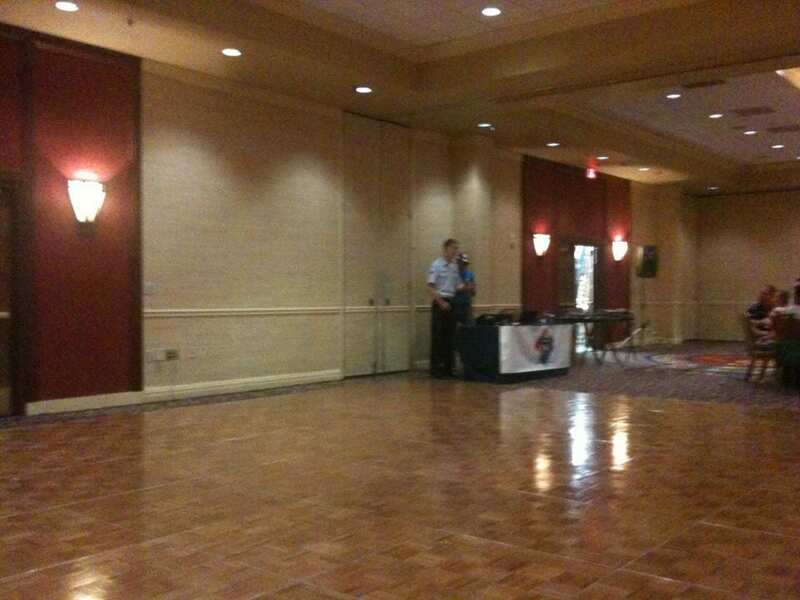 When we approached the elevator the entire area was sealed off and I didn’t have time to look for the replacement elevator. So we headed for the closest elevator with my thoughts being to backtrack to our security entry point upstairs ….. you used to be able to do that. When the elevator finally came and we arrived upstairs I saw that the hallway connecting the two security points was sealed off now. Back down we headed. I sternly said to Lillian, “Girl, we don’t have time to find the other elevator! You have got to go up the stairs” (which are located in the middle of the two big, bad, scary escalators). She finally agreed as I was pulling her along. We were a sight to see! I picked up my two bags and her bag, with her clinging to my other arm and got us up those stairs. Then to wait in the long security line into the gates. We made it to our gate just in time as boarding was already in progress!! Whew! Lillian and I enjoyed ourselves for the remainder of our travel time until picking up our luggage at the San Antonio airport. We were so happy to almost be at our destination as we stood patiently waiting for our two bags to make their magical appearance on the luggage merry-go-round. Then, it happened. I spotted Lillian’s red and blue suitcase and instantly saw that the pull up handle was broken (the one attached to the wheels). I picked it up by the stationary handle and the broken bar was just a swinging! Now, I’m one to let things roll right off my shoulders. So, that’s what I did! However, once again, we were certainly a sight to see with me managing four bags at once, with one crazy suitcase with a swinging broken handle, all while Lillian was clinging to me! After letting confusion set in for about 15 minutes, I finally grabbed us a taxi to the hotel. Once there, we were greeted by the awesome Mark Sogard and knew we had finally arrived at our temporary home and place of belonging and acceptance for the next six days. Mark helped us up to our room with our silly broken suitcase and all was back to peace for Lillian and I! Camilla with Books and Chatting with Becky - Thanks Marie McGing for taking this picture! 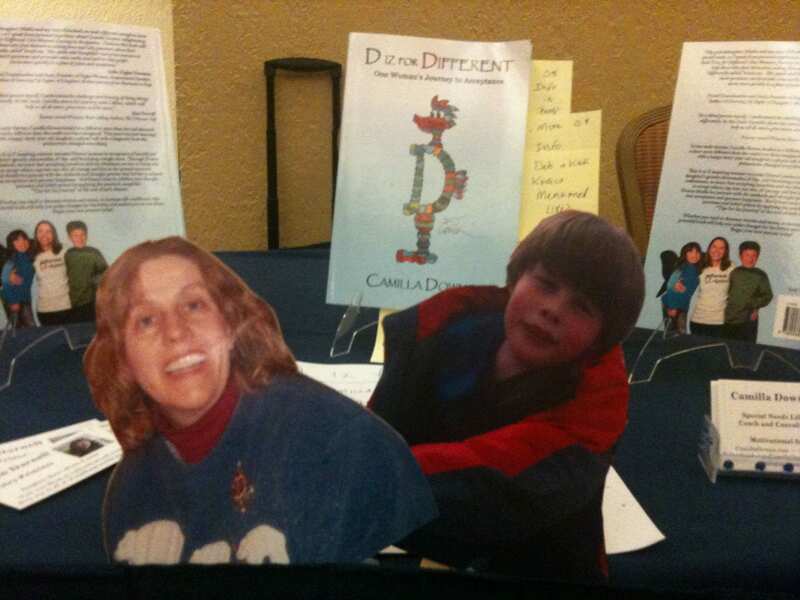 I mailed 50 “D iz for Different” books straight to The Registry and brought about 15 with me on the airplane to sell during the Conference. 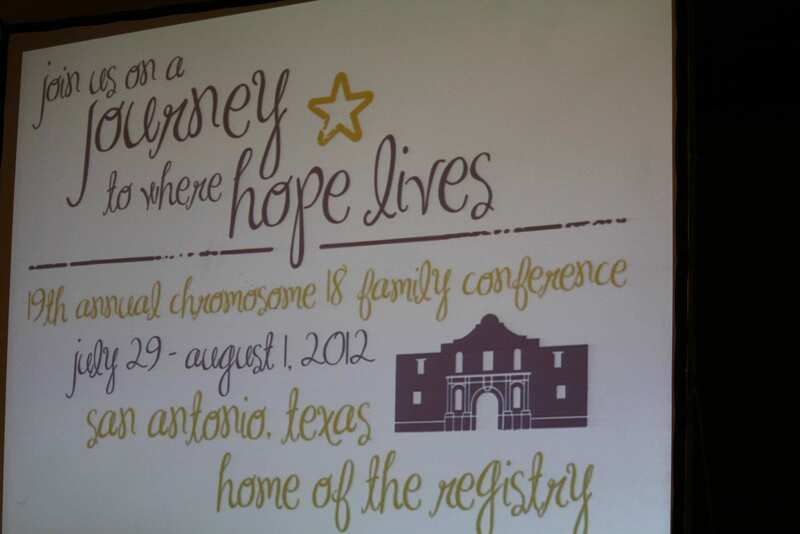 A percentage of sales will be donated to The C18 Registry. Thanks to everyone’s support I came back with about 7 books and I will be mailing a 3 figure check to the Registry. It’s small taters but I’m thrilled to be able to do this! Susan Moran, another C18 Mom, wanted so badly to come to the conference and so did Team Member T! I simply did not have the money to pay for airfare for Thomas. So I brought Thomas and Susan to the conference …. on a stick!! Had a ball taking their pictures with everyone! Mark Sogard helping Lillian and I to our room. 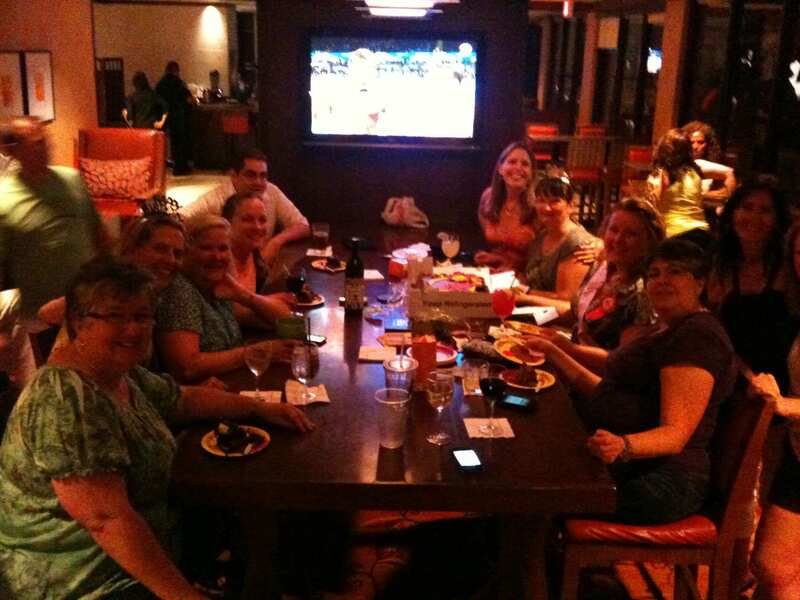 Bar staff, waitresses, and all other staff at the Marriott Riverwalk … They never once blinked or batted an eye about everyone’s excitement (aka loudness) or over the special requests when ordering food for Lillian. Enthusiasm shared and encouraging words about my book … hearing face to face how much others are enjoying and getting something from the book brought tears to my eyes. Watching Liz Cody perform Scottish dancing … gave me goose bumps! Walks with Lillian along the Riverwalk. Seeing the special friendships bloom and continue to grow among the Self Advocates and siblings. 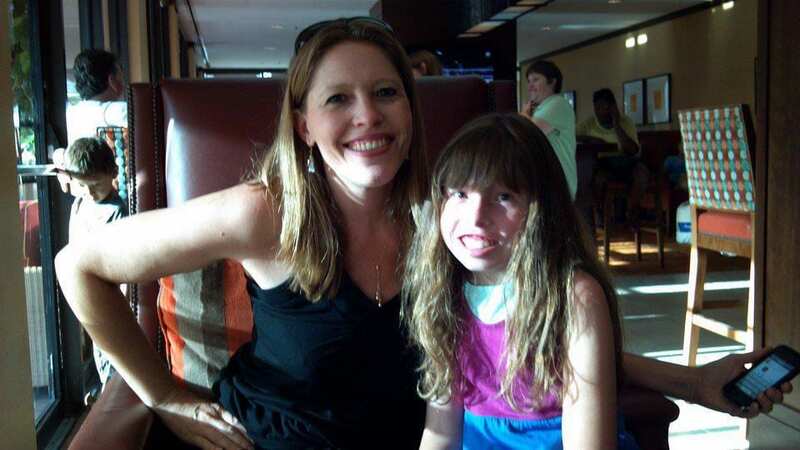 The two lovely ladies who treated Lillian and I to lunch on Tuesday …. 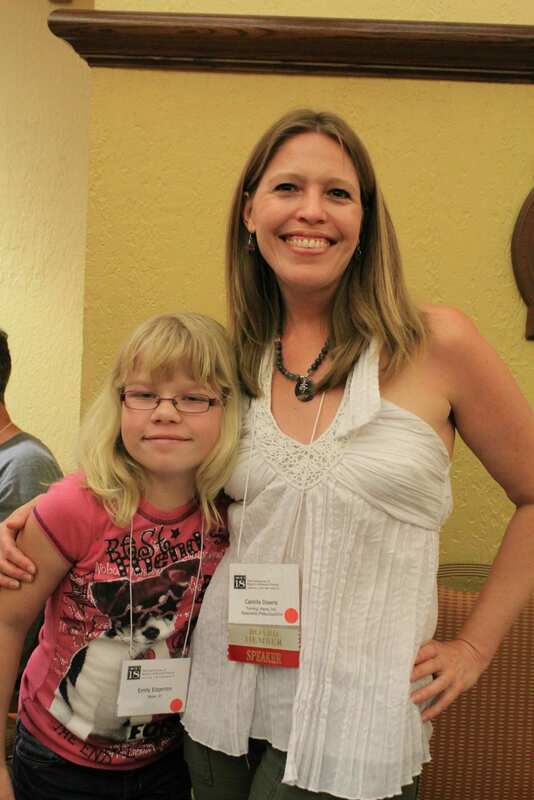 I’m such a space head, I cannot remember their names … if anyone knows the two gals who are interior designers who were at the conference, please message me their names … The Self Advocate did not come as he was working so the Mom brought a friend with her. The amazingly yummy chocolates Marianna brought to me from Finland (gluten and lactose free). So very kind of my sweet friend across the ocean! Lillian stole them from me!! Special dinner on ladies night with two very special and amazing women, Deb Kovacs and Natalie Banton … I admire and love these two ladies and soaked in and cherished every second of our time together. The anonymous kind gesture of the person(s) who paid the dinner tab for a large group of self advocates and siblings Monday night at Lucianos. The sibling panel … to protect the platform we give siblings to share their true feelings I’ll just say that I’m blessed and grateful to know such amazing families and to “feel” the strength, courage, and love of these wonderful siblings. 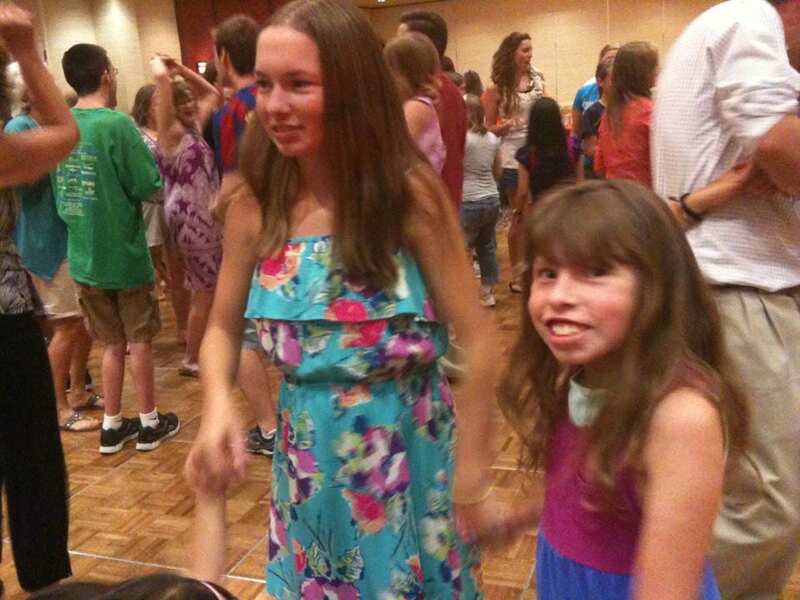 The love, joy, happiness, friendships, laughter, and dance moves shared at the farewell dance. Feeling the beautiful energy and love of Jenny holding Deak and dancing with him while he clapped his hands …. More pool bonding time with parents while our kids swam after the dance party. Now, y’all, I was totally a sight to see getting all our luggage down to the lobby .. . remember that darn broken suitcase. Finally got the luggage, Lillian and me into the elevator only to have the LARGE, HEAVY suitcase fall over on my big toe! Thought my toe was broken!!! Man, that HURT!! When I checked the luggage at the airport, I told the guy behind the counter to have the baggage guys go ahead and break the rest of that piece off while they had it. Guess what? They complied!! No swinging pieces hanging from the bag when it arrived back in Reno! YeeeHaaaawww!! My step-father, Frank, met Lillian and I at the airport and no longer were we a sight to see with Frank’s help! We made it safely back home after an adventure and journey filled with magical moments, kindness, belonging, and yes, crazy luggage. ‘Til next year y’all! Team TLC together again receiving our Happiness package from the 9 Nanas! Thanks Susan Moran for telling the 9 Nanas about me!! *** I felt I should share how Lillian and I even made it to conference this year. Attending these conferences is not cheap, on the contrary, it is very expensive. First I set the intention that we (the entire Team TLC) would be attending the conference at the end of the previous year’s conference. At the time I did not know how this would happen; but I never let it be a question of whether or not we would attend. One month before conference I still did not know how I was going to pay for us to attend. My creativity had hit a dry patch. I reached out to a few friends and asked if they had any thoughts or suggestions. One of those friends, Catherine, gave me a list of agencies to check with here in Nevada to see if they assisted families in attending these type of educational conferences. I immediately sent an email to one of my contacts here who referred me to another mutual connection. This connection referred me to the Nevada Council for Developmental Disabilities which has a Consumer Leadership Fund that DOES in fact help families attend conferences! My connection took the initiative before she emailed me and contacted the head of the agency for me and found out that I had TWO days to get my application submitted before they changed some of the rules. YES, I was on that!! End story is that the assistance from the agency paid for our flight to the conference. I had to decide not to take Thomas this year and am determined to get all three of us there next year. I still didn’t know how I would pay for the entire stay at the hotel … I had some of it covered. I simply kept faith that I would sell enough books to cover the rest and I was donating a portion of the book sales to The Registry also. I guess y’all know how that all ended. Team TLC is already working on ideas to earn the money to get all three of us there next year. I hope y’all like what we come up … it’s gonna have something to do with Happiness! I am a TRUE BELIEVER in setting intentions and having rock solid faith … NEVER lose faith in possibilities y’all! 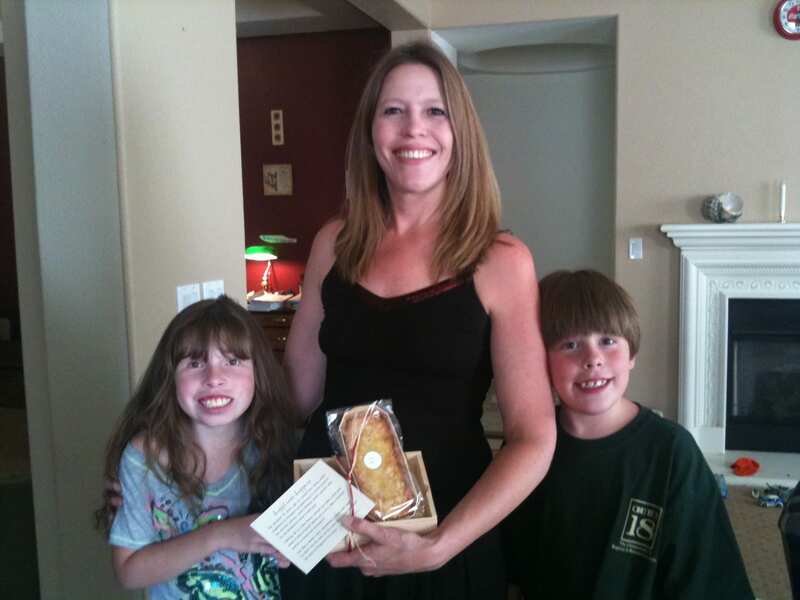 This entry was posted in News and Events and tagged 18p deletion, 18p-, c18, Camilla Downs, children with special needs, Chromosome 18, chromosome 18 conference, genetic difference, Lillian Darnell, Team TLC by Camilla. Bookmark the permalink.